This Monday I'm heading to the thriving metropolis that is Toronto (it's pretty much the most happening city Canada's got) and while I'm there I'll be going to the Canadian International Documentary Festival. So pumped! My sis-in-law who lives there had the smart idea that we should check it out while I'm visiting and is going to get us tickets to see: Laura. 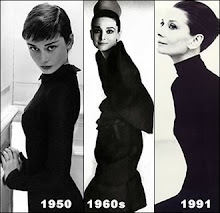 I'm so excited to see a doc about my namesake who lives like a modern day Holly Golightly - worlds are colliding people! I decided I'm definitely packing my new skull scarf for the trip so why not rock that at the doc fest!? I love that this top brings out the colour of the flowers in the scarf. I got my scarf tying inspiration from, where else, MaiTai's Picture Book. To finish the look, and let me romp around the city in style, are these little "Coralee" Rockport sneakers I bought today. A dear friend of mine gave me a gift certificate to Manchester Shoes (I told you I have lovely friends) and immediately I knew these were what I wanted to use it on. I had seen them featured as the Shoe of the Week on their blog. These sneakers are a light gray leather, super comfy, and are way more 'me' than an athletic looking sneaker. Plus, they have a removable foot bed so my orthopedic insoles fit in them!! The The Coralee fills a gap in my shoe wardrobe and I can see myself getting a lot of wear out of them. feel like it's a little more chic than a t-shirt and jeans typically are. Love that adding a scarf with a giant skull elevates an outfit :) Now I just have to nail down what I'm wearing for the rest of the week. How do you pack...bare minimum or as much as you can? I like packing a bunch of options because I never know what mood I'll be in! That said, I try to plan a cohesive colour pallet so that everything matches (or at least coordinates) with everything else. I think you look very cute! I love your sneakers. I saw a woman in leather sneakers recently and they looked fantastic. And have fun watching your docos! Cute post and of course, fabulous new sneaks Laura! Enjoy them! You have styled them perfectly with denim and that fun scarf! Have fun in Toronto! Look forward to following your blog! Nice sneaks. I assume I'm getting a pair for my birthday. Cute outfit. Like your sneakers! Have a blast in Toronto. I put my insoles in these babies and was on my feet, walking and shopping through Toronto, from 7am - 11pm with no discomfort! This was the first time I wore these sneakers! So happy with them! !